Measurement in sourcing can be a real nightmare. Knowing what to track and how to track is a headache many sourcing teams endure, but tracking metrics and being accountable to measurable results can have a real impact on recruiting performance, so it’s in every team’s best interest to master this important process. Using metrics to track progress at every stage of the sourcing lifecycle is a powerful method for fine-tuning your approach. Starting in 2017, The Association of Talent Acquisition Professionals (ATAP) began work on establishing a common set of measurement standards for Sourcing. Join Nicole Dessain, CEO at talent.imperative and ATAP Sourcing Metrics Committee Lead, on Wednesday, November 7, as she shares the results of this work and the roll out of this new standard that will finally enable sourcing professionals and leaders to consistently measure their activity, performance, and output. This new standard will also drive improved benchmarking along with the improved ability to demonstrate a sourcer’s or sourcing function’s ROI. Who Should Attend: Sourcers, recruiters and recruiting leaders who want to be able to quantify their activities, measure their processes, and prove their success with numbers and hard data, all while delivering positive and repeatable support to their hiring managers and clients. Nicole Dessain is a talent acquisition and design thinking “nerd." She loves to blow up long-held beliefs that stop us from preparing our organizations for the future of work. She feels lucky to have had an amazing corporate HR and consulting career that she has recently turned into her own startup, talent.imperative inc, a talent experience design consultancy. 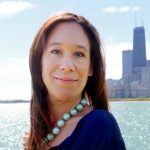 Her second, not-for-profit business, DisruptHR Chicago, was launched in 2016 and has inspired more than 1,700 HR and business leaders in the Chicago area. She serves on the advisory board of the Association of Talent Acquisition Professionals (ATAP). You can find her on LinkedIn, Twitter, or via email.